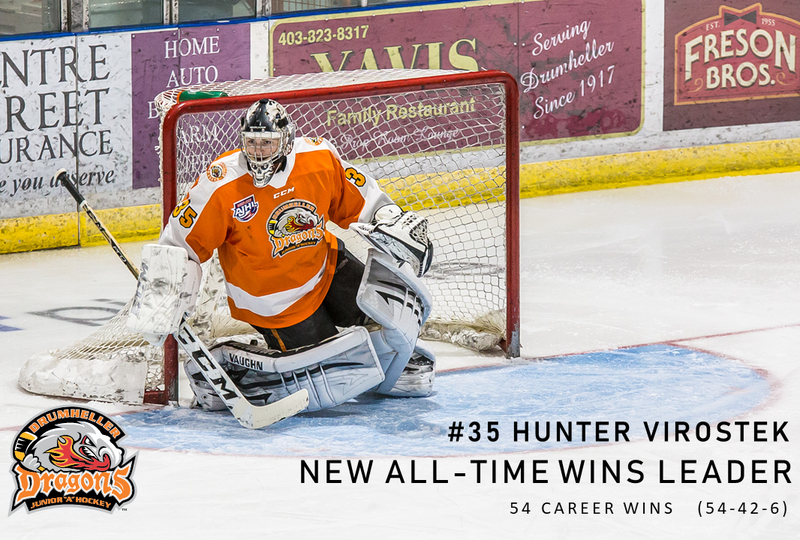 In his final season in the AJHL, goaltender Hunter Virostek has cemented his name in the Dragons history books. Virostek earned his 54th career win on Tuesday night, becoming the new all-time winningest goalie in team history. He passed the record of 53 wins held by Jonathan Larose, which has been in place for the last 690 regular season games. 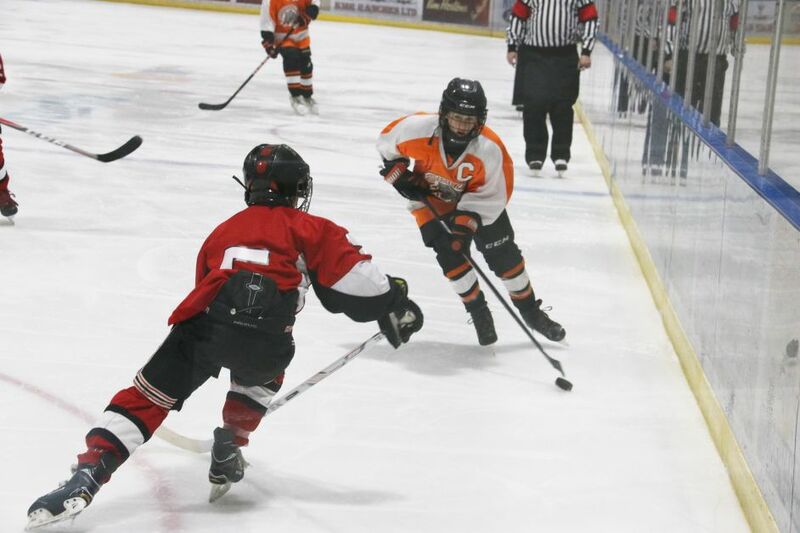 The netminder made 31 saves in a 2-0 win over the Drayton Valley Thunder. It was the 3rd career shutout for Virostek, who has been part of the Dragons since the 2016/2017 season.